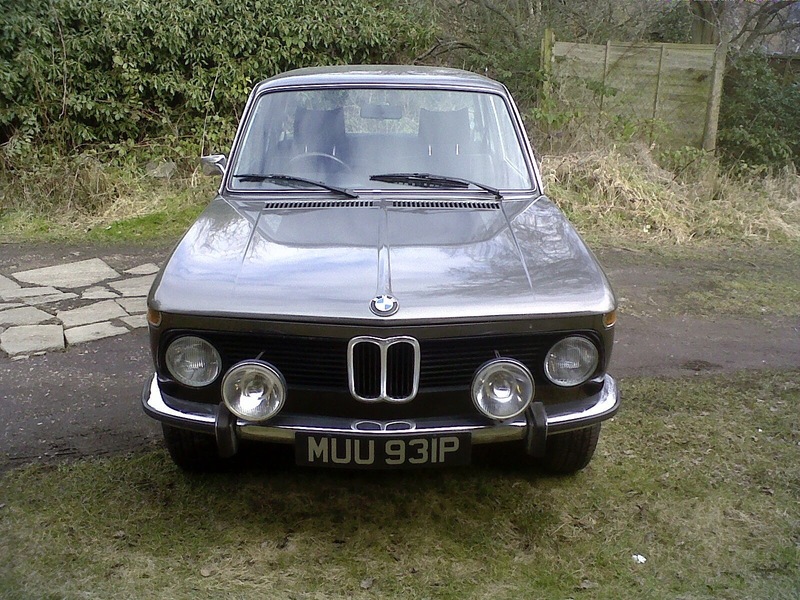 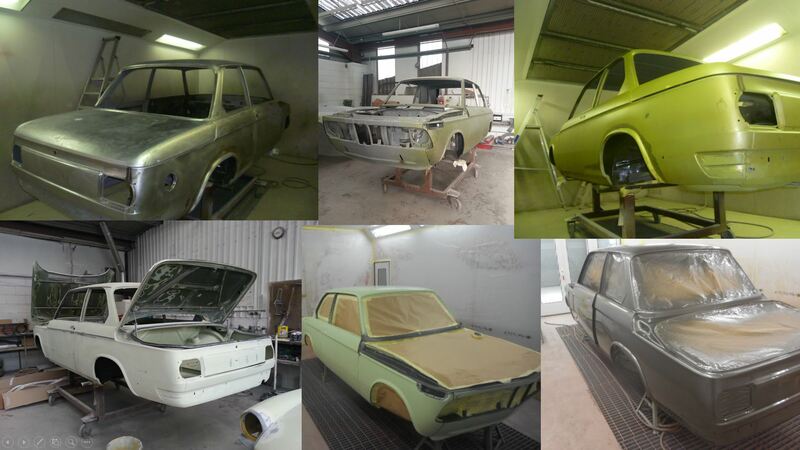 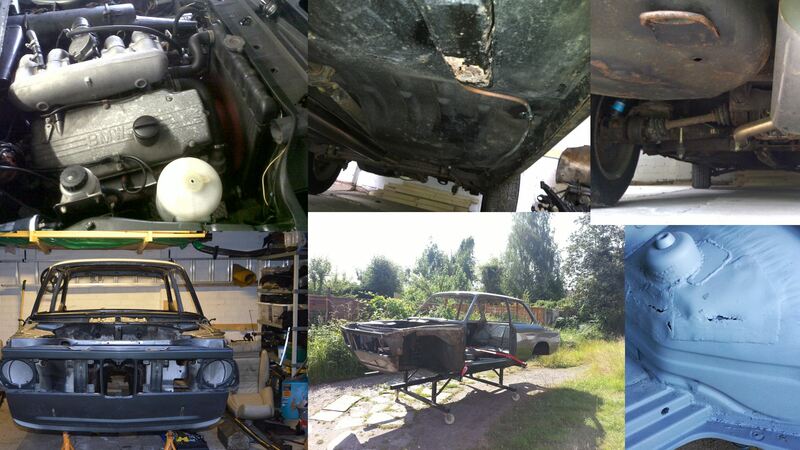 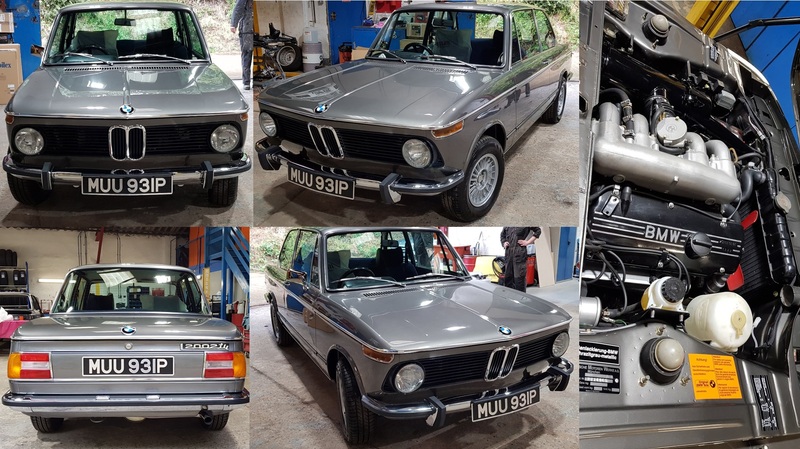 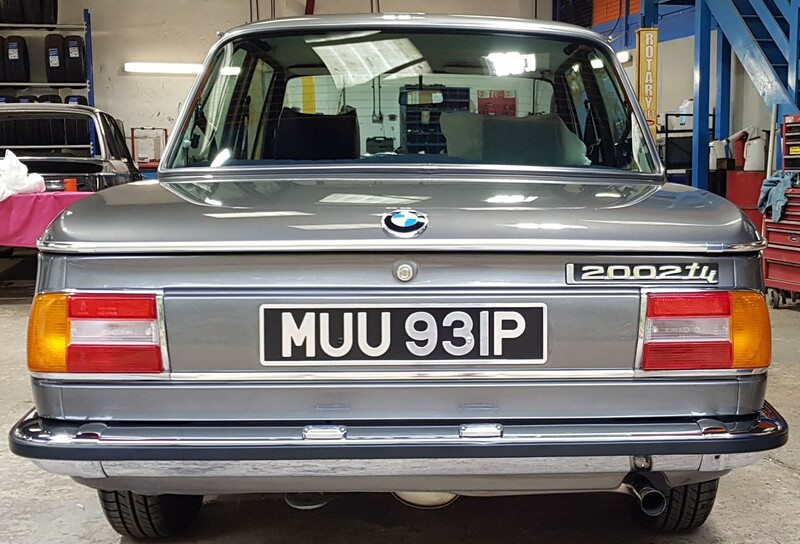 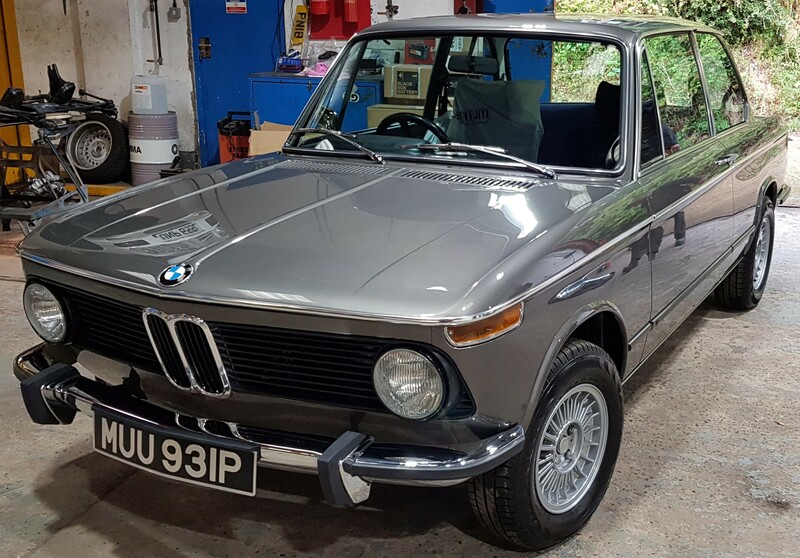 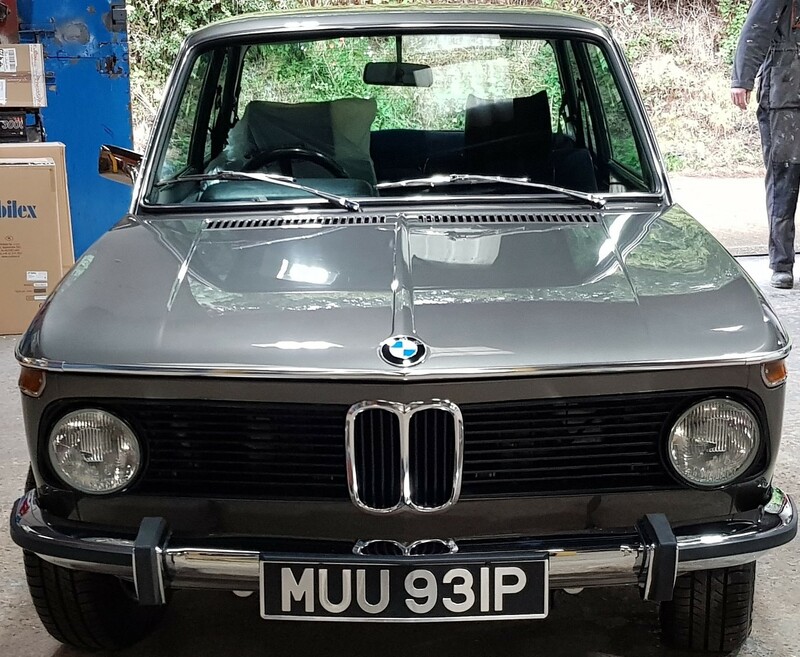 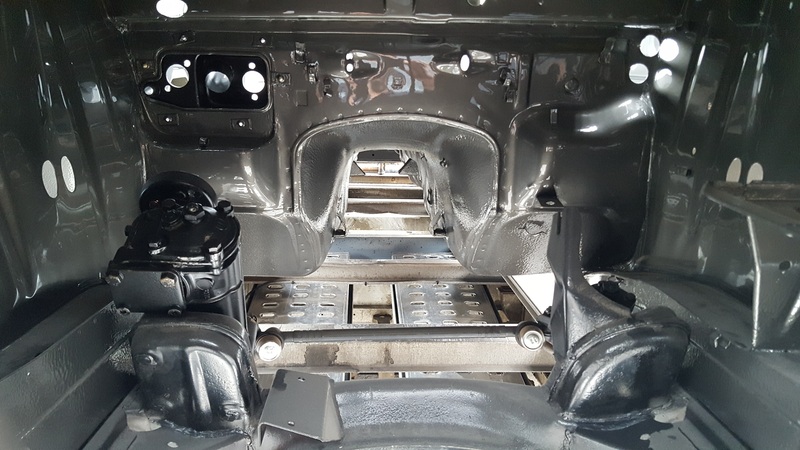 One of our Midlands based customers commissioned Jules Bodycraft to restore his BMW 2002 TU11 LUX – this Classic vehicle then went on to win ‘The Best In Class’ at the BMW Car Club Festival in August 2018. 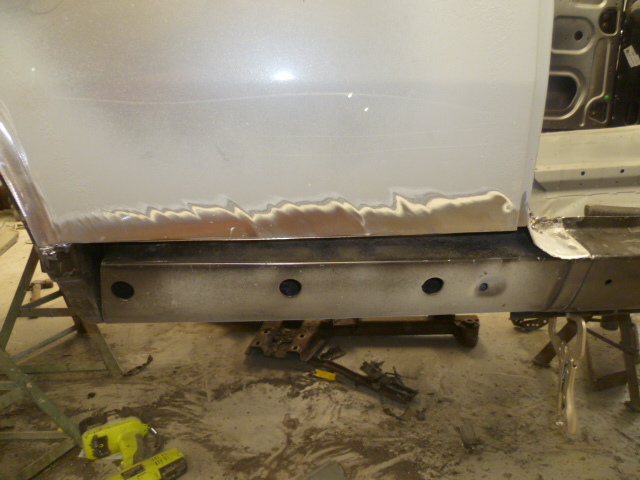 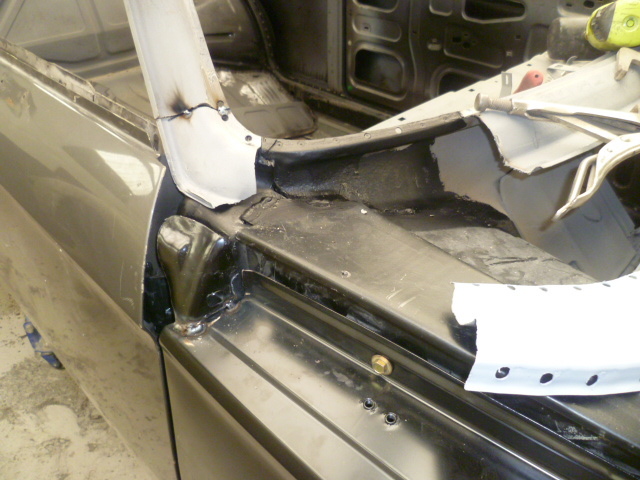 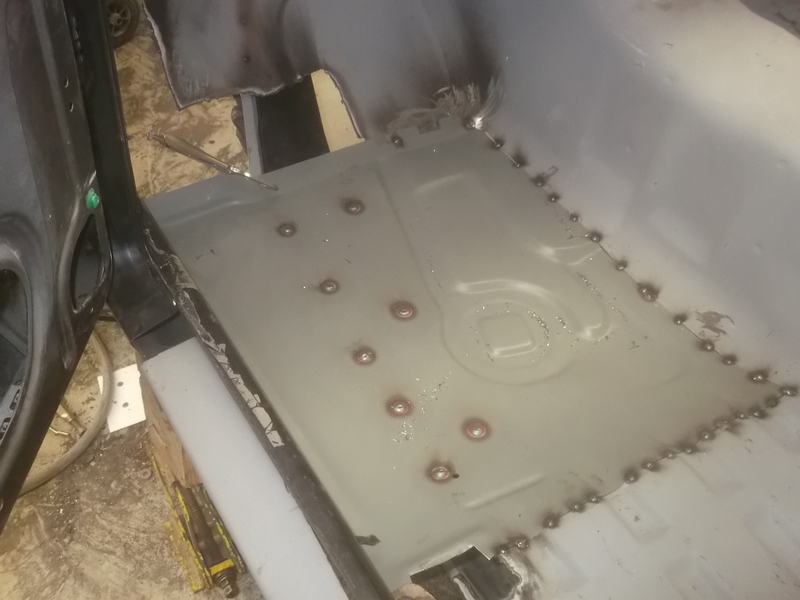 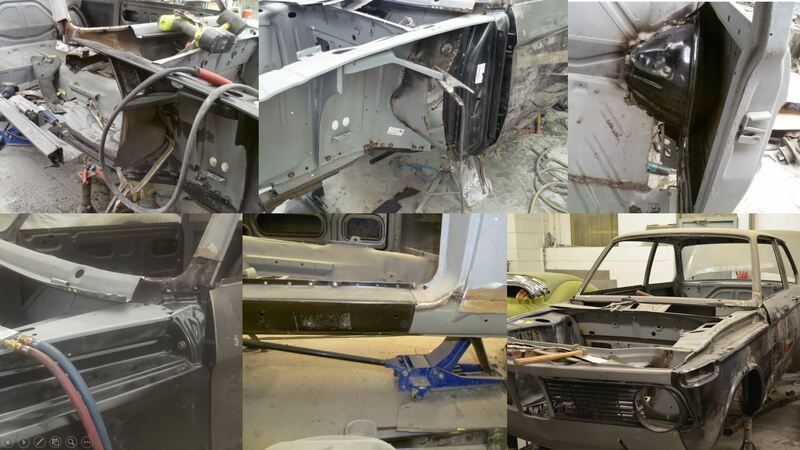 New panels being fitted after bodyshell having been shot blasted and etch primed. 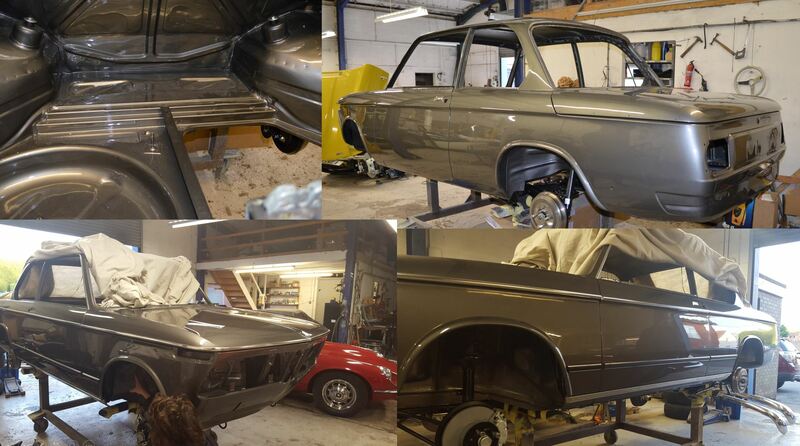 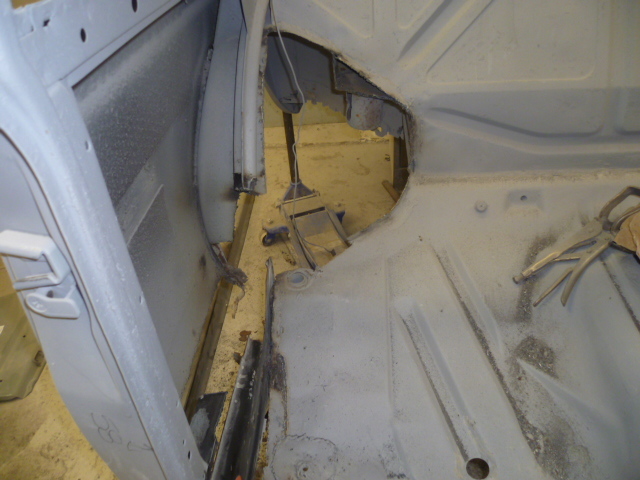 Metal work completed BMW in spray booth being etch primed, under coated and top coat complete.